elobeatlesforever: What Do Ya Think of This? Hello ... Hello ... my old friends ... It's great to see you once again! 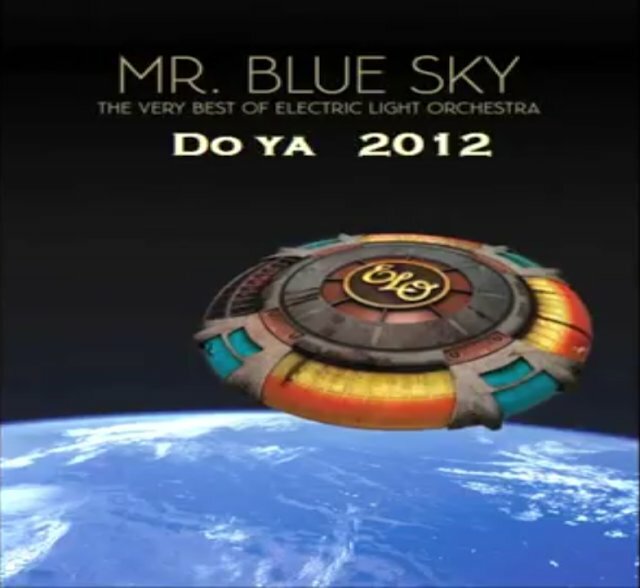 The latest Jeff Lynne reworking of his classic ELO back catalogue is the lively "Do Ya", originally released as a Move track on "Message From The Country"  and also a key element of ELO's 1976 breakthrough commercial album "A New World Record". It follows the recent reworking of "Mr. Blue Sky" and other ELO classics, predominantly for the medium of adverts or movie soundtracks. Whilst Yours Truly KJS is of the mind that we are long overdue a Jeff Lynne solo album of new Jeff Lynne material, I'm still not so sure of the reasoning behind the much rumoured 2012 release of those ELO classics that we all know and love "in a new light" so to speak - other than the potential commercial benefits. On the other hand, plenty of other artistes have reworked their classics in the later stages of their careers. "New Light Through Old Windows" by Chris Rea comes to mind as an example of this. In any case, ELO Beatles Forever [ELOBF] looks forward to Jeff's new material - in whatever form it takes because we know it will be well worth that long wave ... er wait. Sounds like he's just sort of phoning it in... Obviously he's used bits of the New World Record recording, and added to it. The new vocal track sounds lazy. Almost like he's forgotten the words and is reading it off a notebook.